What to Expect: 25 acre lake, open fields, and a network of trails that are primarily used for hiking, walking, nature trips, and birding. The park is accessible year-round. 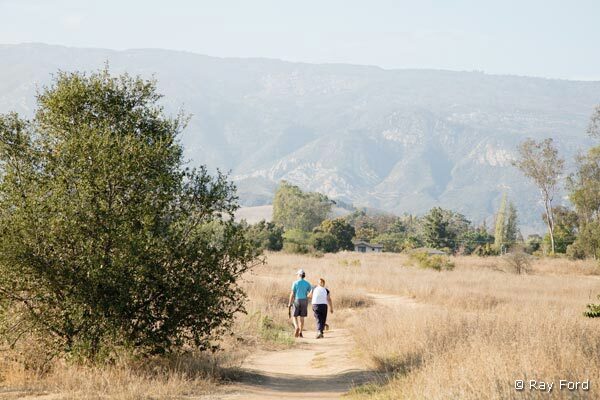 This 140 acre park was once part of the original Rancho La Patera. 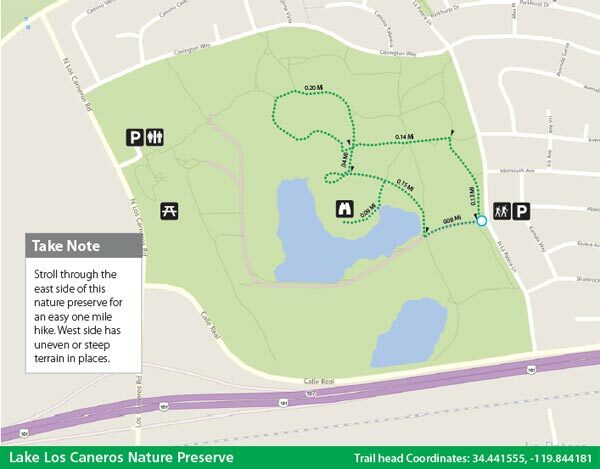 The park features a series of loop trails, grassy fields, mountain views and includes a man-made lake, which attracts a rich variety of bird life. 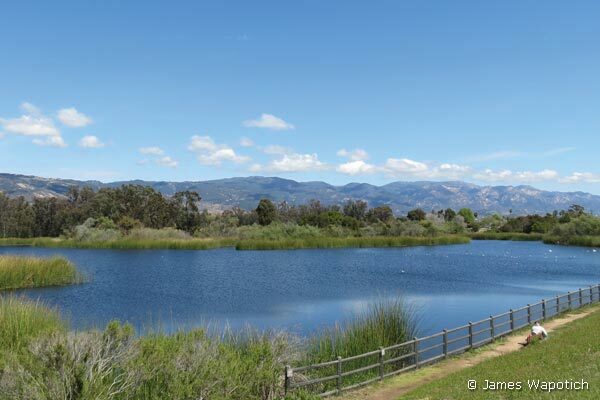 Amenities: Lake, benches, wildlife viewing and mountain vistas. No Restrooms at trail head. Trail Etiquette: Have fun, be friendly and considerate. Leave what you find. Respect wildlife. Stay on trail. Access Mode/Parking: By car and bike, Park on street. 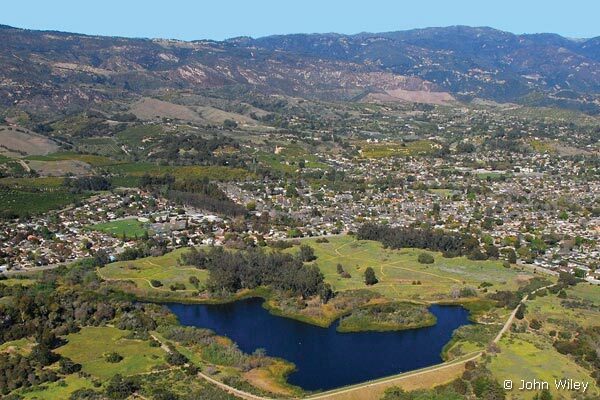 Points of Interest: Lake Los Caneros Nature Preserve adjoins great family attractions like Stowe House, Railroad Museum, and taking rides on a model railroad. Directions: From Santa Barbara, drive west on Hwy. 101, exit at Los Carneros Rd., and proceed north. Drive about quarter a mile and turn right at the round-about on to Calle Real. Drive about 6/10ths mile and turn left on N. La Patera. Drive about 2/10ths miles and park on the road side. There are multiple entry points to the park.